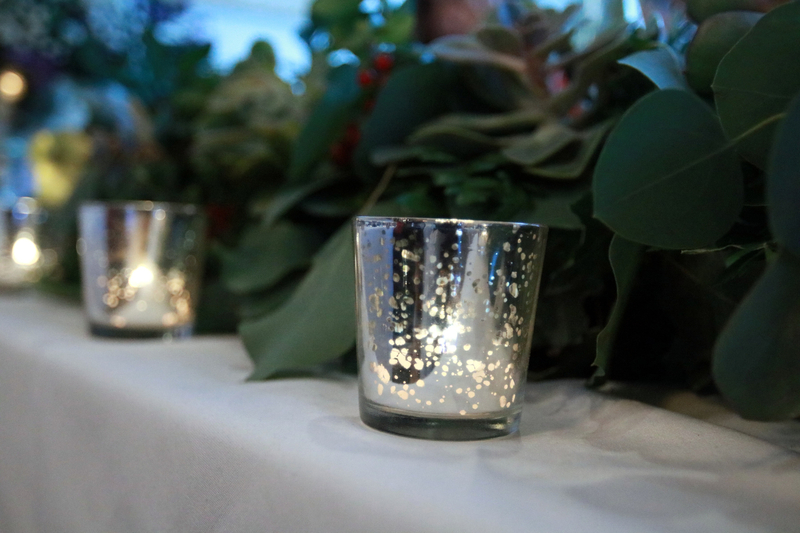 We all love the metaphor of winter, death & darkness giving way to the light and life of spring, and for that reason, January weddings are special – they represent new life and a renewed sense of hope. 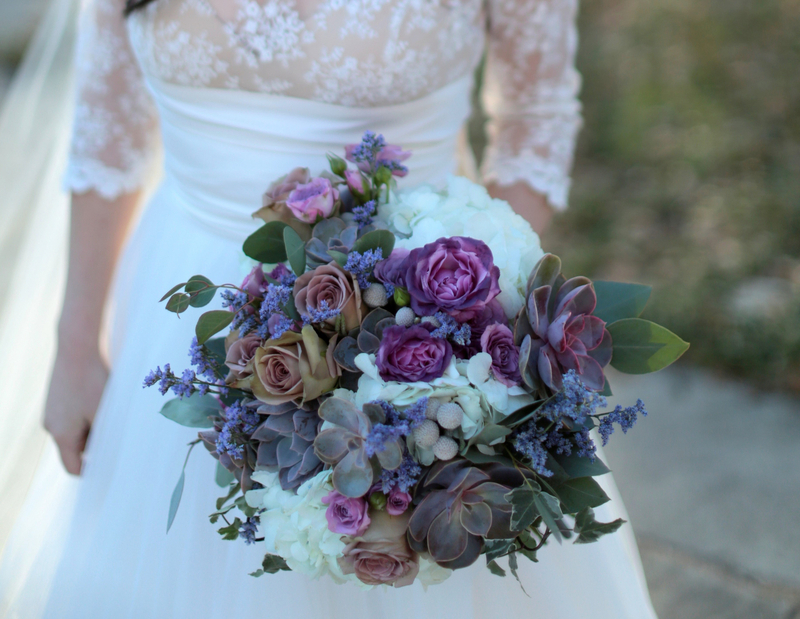 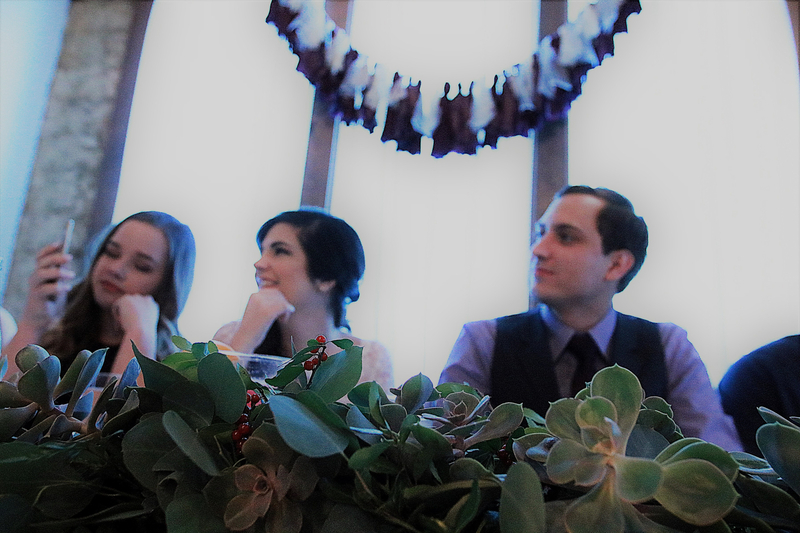 In keeping with the theme of life, Austin wanted Eco-friendly succulents to feature prominently in the wedding flowers. 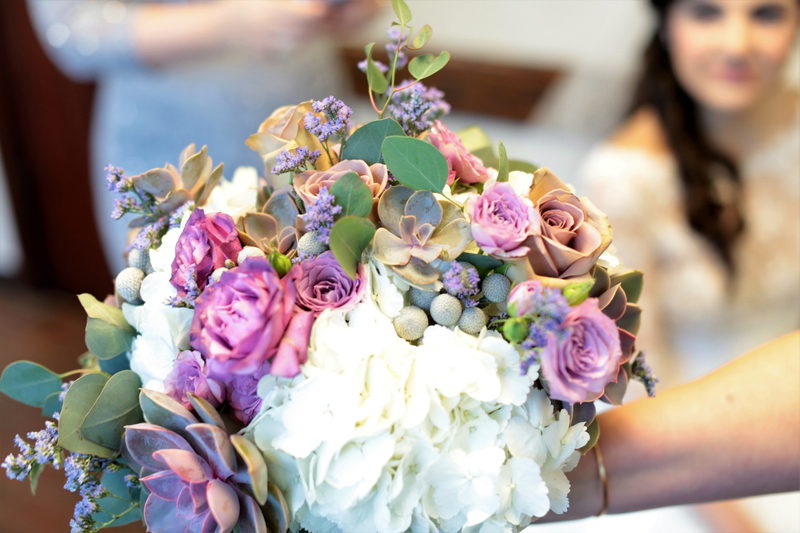 She wanted to have something to keep from her bouquet that could be planted as a reminder of the start of the new life she would lead with Brent. 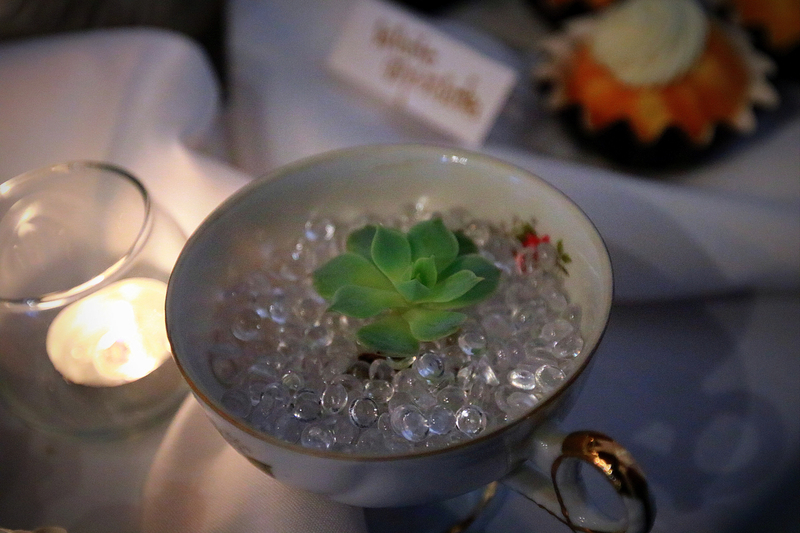 Guests were included in this sentiment with succulents in lovely antique tea cups. 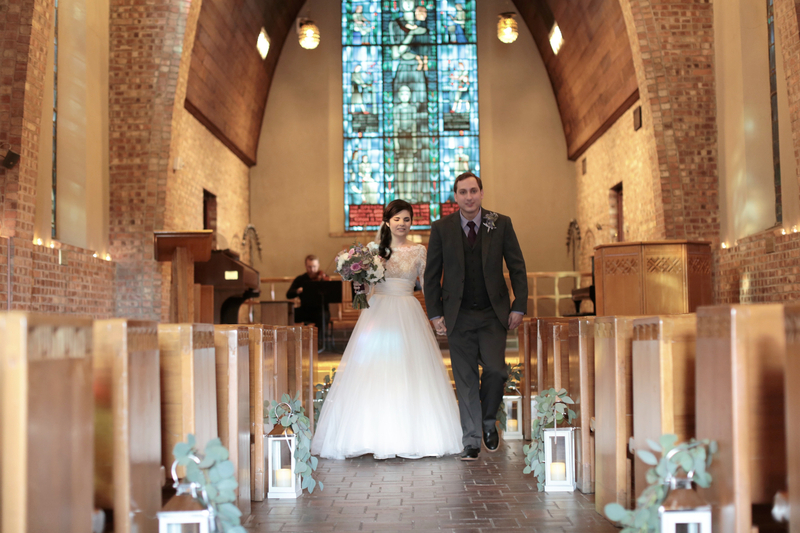 Photos by Hal Samples Photography.